"I chose Adam, to sell my home, from a list of realtors provided to me as part of a relocation for business. Following our introduction and market analysis of my home, I found myself eagerly checking his references. (I was concerned that someone was actually better at their job than I am at mine.) To my dismay, it was 100% true. Adam Lytle never disappointed me, consistently exceeded my very high expectations, and was impressive during all aspects of the sale of my home. Adam's technological savvy must be industry leading, bordering on McKinnon-like. His knowledge of the Shreveport-Bossier housing market is more than I expected from agent, utilizing more data than an actuarial scientist. As a result of choosing Adam, my wife and I had nine showings and two respectable offers after about a week and a half on the market. As we approached our relocation date, my wife and I had zero concerns because everything had wrapped up in advance, thanks to Adam. In addition, Adam was very respectful to my wife, myself, and our property. He was always pleasant and kept our best interests in mind. I have no problem recommending Adam to my family, friends, or strangers." "We have bought and sold 7 homes in the past 18 years, Adam Lytle is by far the best agent we have worked encountered. Adam was our agent when we purchased our home in Louisiana and negotiated a great deal with the seller. 18 month later Adam sold our Louisiana home in less than on half the average time for 97% of our asking price. The marketing photographs were spectacular, we had a constant stream of potential buyers and had an acceptable offer in two months. Adam is worth every penny of his commission and them some. 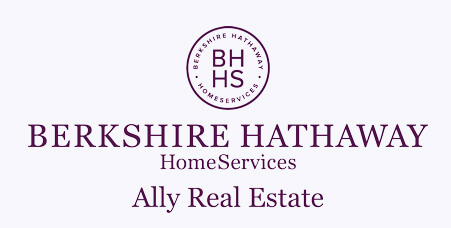 If you are buying or selling a home in the Shreveport/Bossier City area Adam Lytle is head and shoulders above his peers." "Adam Lytle is the best Realtor in Shreveport/Bossier if you are with another realtor you are wasting your time. My husband and I hired Adam Lytle to sell our home in 2014. We had had four (4) other realtors who promised to sell our home within 3 months or less none of them except Adam Lytle kept his word. We were disappointed at the lack of compassion, ethics, and dependability with all other realtors we had chosen. The home placed on the market in 2012, the Coldwell Banker realtor assured us that she could sell our home in less than 3 months. This realtor did not keep her word and used no media to market our home; instead, she argued with the people who were interested in placing an offer and they went elsewhere. After her, we obtained another realtor from Diamond realtors who told us to lower the price of the home below what we owed because we were going to pay for it anyways. The realtor failed to notify us of damaged by a storm and it was in need of repairs. We were living in another state due to my husband being Military and transferring. We had to make a trip back to repair the roof and other damages occurred by the storm. We found our from a neighbor that our home had been damaged over a month ago and at this time the realtors contract had been in effect for over 3 months. The realtor never had an open house never showed anyone the home. After having our home on the market for six (6) months, we decided to terminate the contract with her since she did not return our calls or emails during a 3-month period. Finally, after having equal luck with the other two realtors we found Adam Lytle. It took less than 2 months to get offers we received six offers. Adam Lytle went beyond all our expectations especially when many realtors had broken our trust. He used a professional photographer placed our home in Zillow, Trulia, Craigslist, and various other websites. He also used and app that people could drive by our home and scan the code so that they can receive all information about our home on their phone. He had open houses we had many showings. On certain days, we were away from home all day due to the number of showings scheduled. Adam Lytle is a man of his word and apparently, that is very rare to find in Shreveport/Bossier. Adam Lytle also gave us great tips on how to stage our home. Eight months after selling our home Adam Lytle also helped us by shipping valuable belongings to us that we accidentally forgot in that home. If you are not working with Adam you are missing valuable information that could help you sell your home quickly. If I were to buy a home in Shreveport/Bossier I would chose Adam Lytle. He is THE BEST REALTOR in LOUISIANA! I could write an entire book based upon the compassion, ethics, and dependability of Adam Lytle. Thank you Adam!" Dennis, and Patricia Bracy WA.